Ben Ysursa was elected Idaho’s 26th Secretary of State on November 5, 2002. 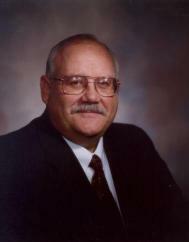 He was re-elected in 2006 and 2010. He finished serving his third term January 5, 2015. He was born in Boise, Idaho in 1949. He is a 1971 graduate of Gonzaga University and earned his law degree at St. Louis University Law School in 1974 and was admitted to the Idaho State Bar in October 1974. Ben started his professional career serving first as Deputy Secretary of State from 1974 to 1976 and then as Chief Deputy Secretary of State from 1976-2002. He has conducted numerous workshops on elections for county, city and district officials throughout the state and has authored various manuals. As Secretary of State, Ben has strived to maintain the office's reputation for timely and efficient service by utilizing the latest technological advances. He has also fostered a strong relationship with the County Clerks in achieving fair and honest elections for all Idahoans. Ben has been an active member of the National Association of Secretaries of State and is currently serving as Co-Chairman of the NASS Company Formation Task Force. He is also currently serving on the Board of Directors for OATHS (Organization Assisting The Homeless Student) and IDOG (Idahoans for Openness in Government). Ben was the recipient of the “Boyd Martin Award” presented by the Association of Idaho Cities and the 1992 Recipient for Outstanding Administrator from the Idaho Republican Party. Ben has served as a board member for various state and city committees and as a volunteer for youth athletic organizations. Ben is a member of the Basque Center and St. John’s Parish. He and his wife Penny have three children, Shawn Del, Matthew, and Andrew and two grandchildren Benjamin and Thomas.